Qui? Quoi? Quand? Ou…. ? 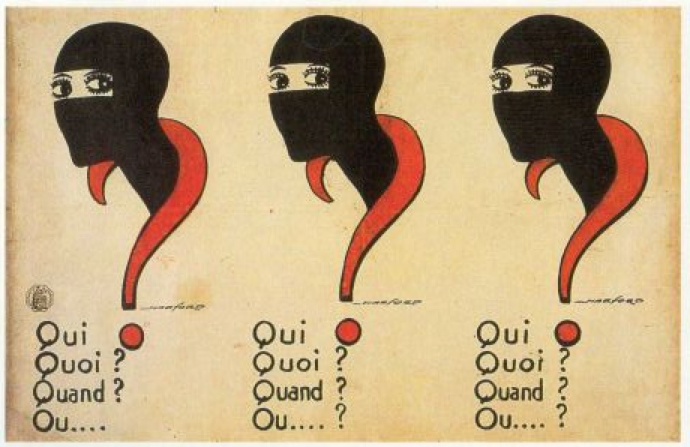 Here is a poster for the movie Les Vampires by Louis Feuillade. It is a signed lithograph currently on display as part of the permanent exhibition at the Cinematheque Francaise. Fun fact: the actress Musidora depicted here actually worked at the ticket booth at the Cinematheque Francaise until 1943.